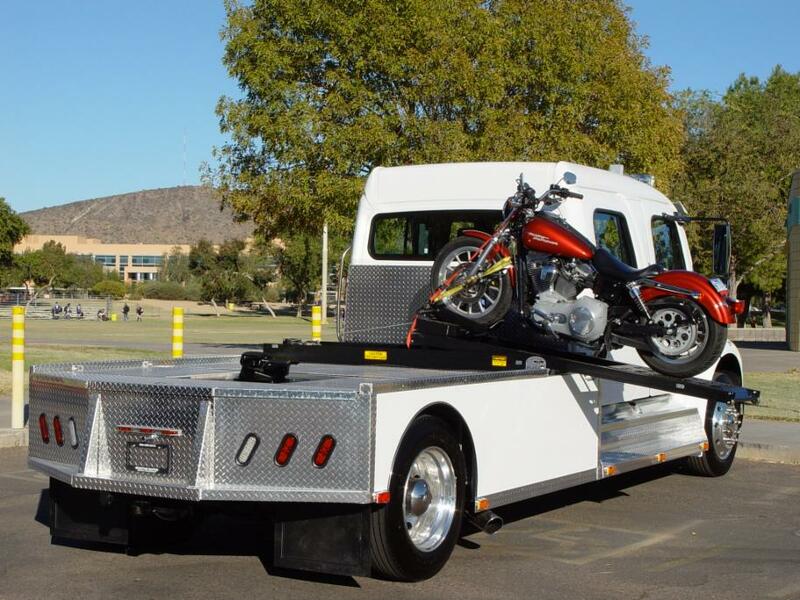 The motorcycle lift will extend past the end of the bed and carry the load safely without damaging the tailgate. 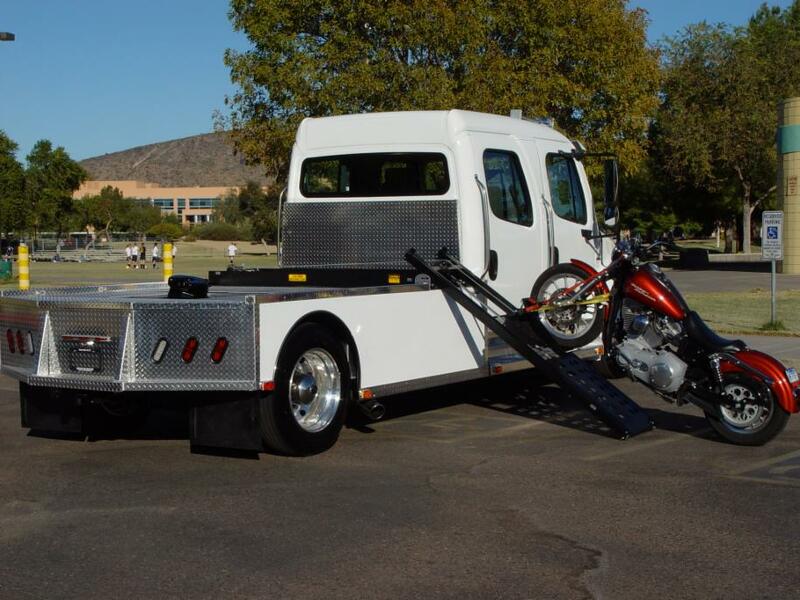 The Motorcycle Loader is not a permanent modification, it consists of a modular, 3 piece construction for easy installation and removal by one person in minutes! 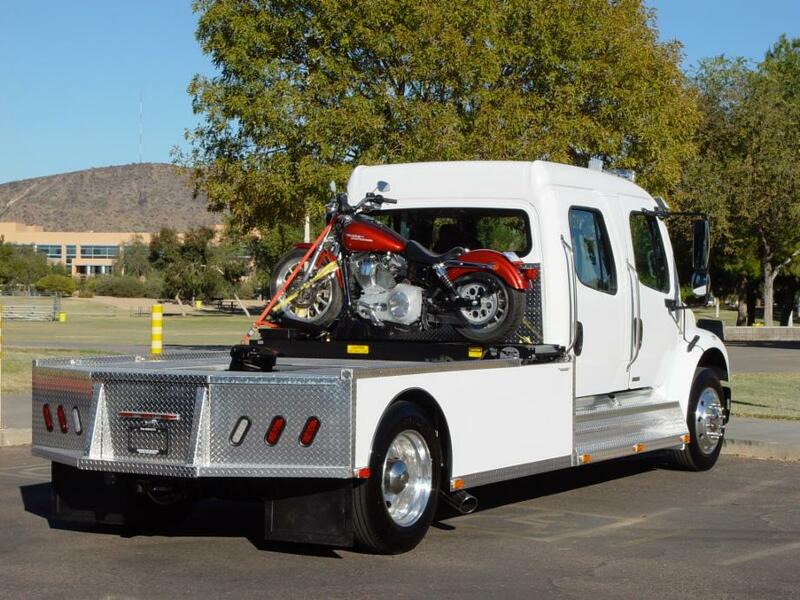 Motorcycle Loader includes quality features like an extremely strong, structural steel design capable of loading 1000 pounds. The wheels and rollers are industrial grade nylon and there are no bearings to grease or maintain. The carriage tracks are slotted to allow for rain water, dirt and debris. The 2500 LB capacity winch with a 5000 LB capacity strap operates on a 12 volt DC system. The Mountain Master Motorcycle Loader is a simple, reliable design that is very easy to operate and requires very little maintenance.